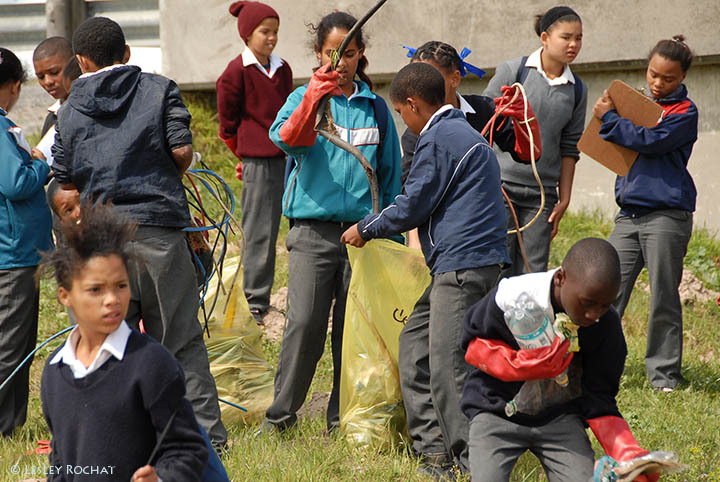 Last week was International Coastal and River Cleanup week and we at AfriOceans, in partnership with the City of Cape Town, went full steam ahead in doing our bit toward making a difference. 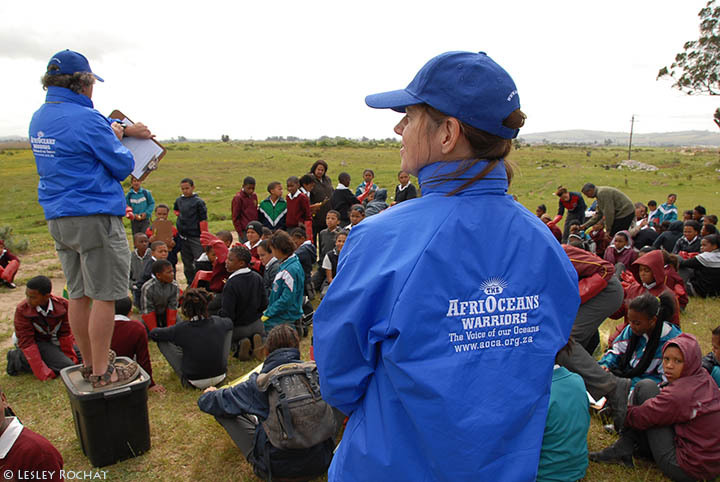 Working with the community is an important part of the AfriOceans work and as a result of the support of this event from Councilor Frank Martins, we were able to reach over 600 learners. 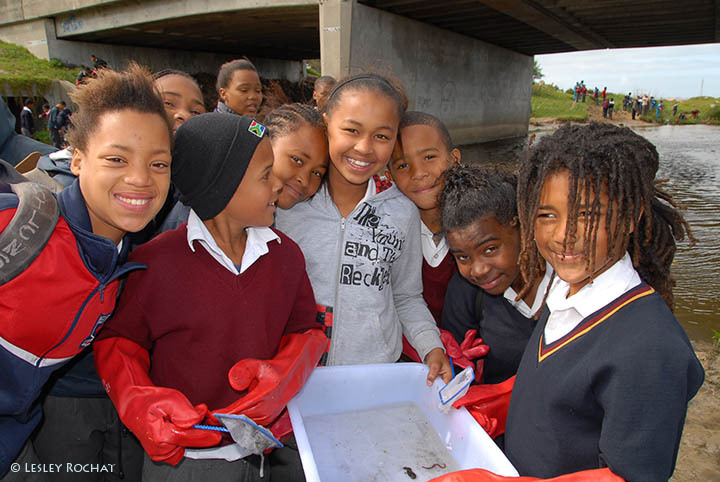 Terry Corr, the AfriOceans Head of Education, and Verona Smith, the AfriOceans Education Specialist, presented the YES International Coastal & River Cleanup Week in the suburb of Delft, on the outskirts of Cape Town from 13 –17 September. They visited four participating schools: Wesbank No.1, Silversands, Rainbow and Hoofweg and conducted interactive workshops for the first three days during which the knowledge base of the learners was assessed and strengthened. ‘From your drain to our oceans’ was the theme, which focused on the importance of rivers and the many issues affecting them, and what can be done to take action to improve river health, and ultimately ocean health. 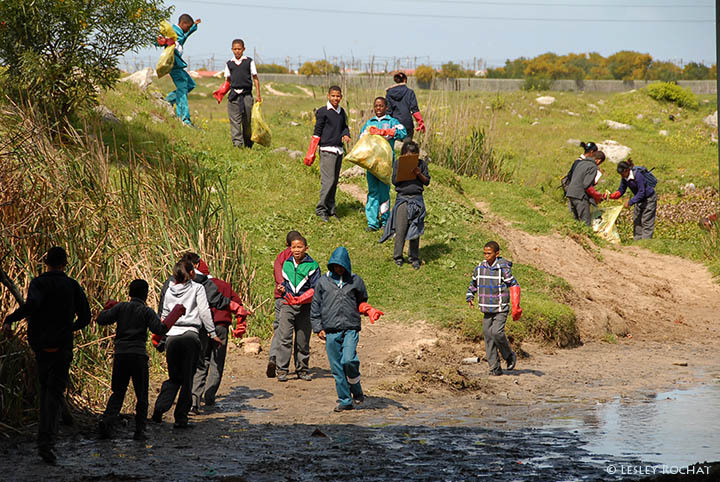 From the group of 660 Grade 6 learners, 120 of these learners were selected to take part in a water quality assessment of the Kuils River, which flows through the Delft community, on the outskirts of Cape Town. Utilizing water testing kits, small nets and rubber gloves, the river warriors set about checking the water quality of a 500m stretch of the river. By looking at the insect and bug biodiversity in the river, they were able to make basic assessments of the state of the river’s health. 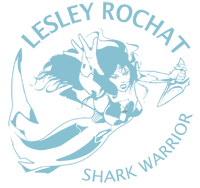 To the children’s shock and horror, they only found bloodworms, which indicated that the river was in a serious state of high levels of pollution. Thereafter, and while I ran around with both video and stills cameras capturing the special moments, Terry challenged the learners to see which group could pick up the most litter. After the whistle blew and within 40 minutes over 50 bags of rotting litter was recovered from the river edges and banks. 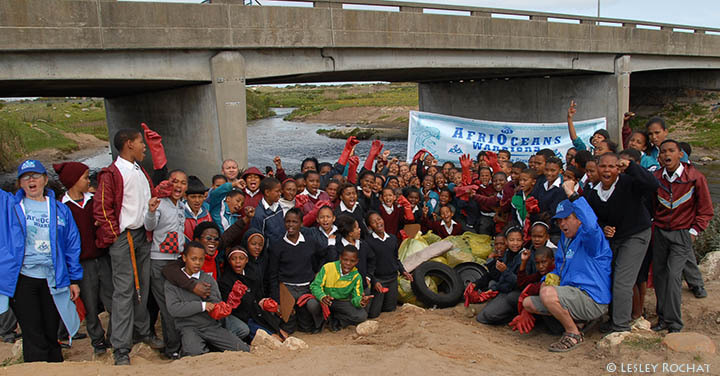 Proud of their achievements, the group posed with City Officials, teachers and educators in front of the AfriOceans Warriors banner for photographs, amidst a pile of yellow cleanup bags, and shouted loudly: “We are the AfriOceans River Warriors!” The following day the same team of learners did a beach cleanup, reinforcing the theme of the event: everything dumped in the rivers and from our drains lands up in the oceans. A special thanks to my dedicated and passionate team, Verona Smith and Terry Corr, who made me proud, and to all the wonderful learners, teachers, and especially to Councilor Martins and the City of Cape Town. Let’s do it again soon, there’s loads of litter waiting to be collected by eager AfriOceans Warriors! Visit The Divesite where my blogs are also posted.